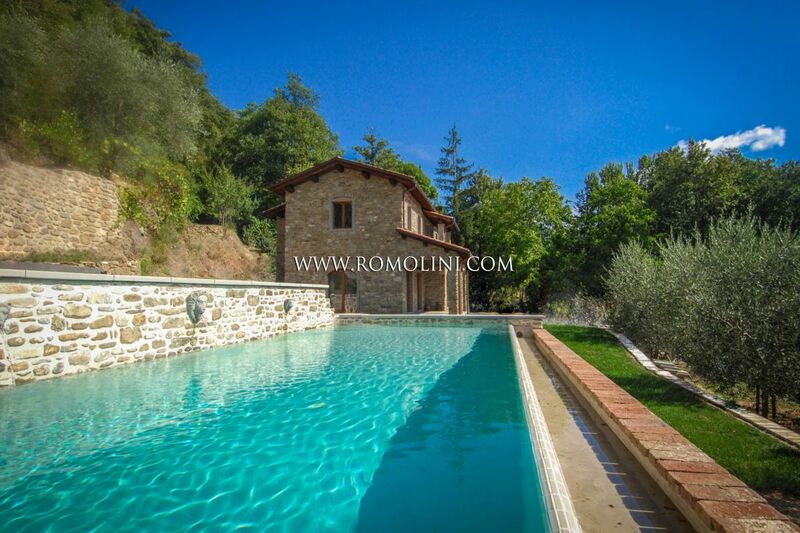 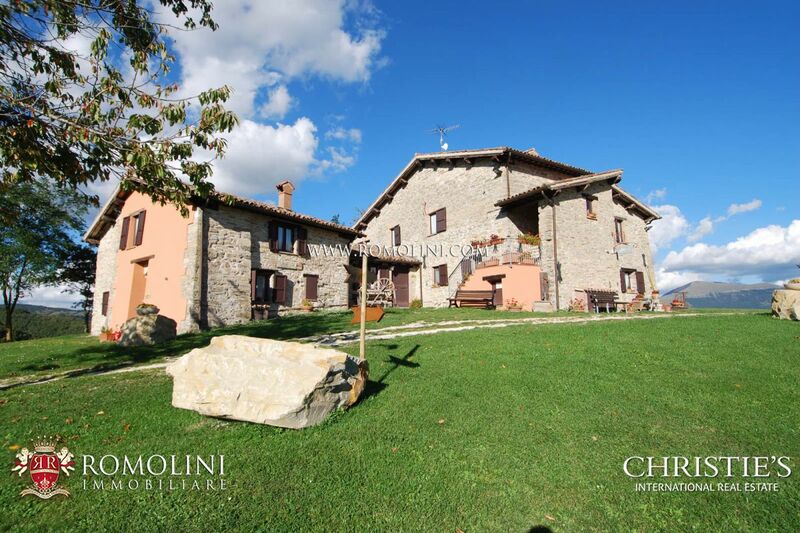 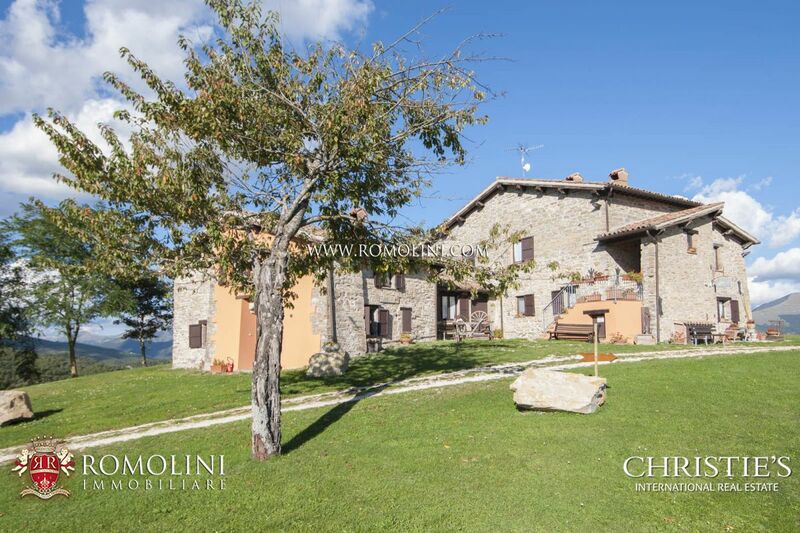 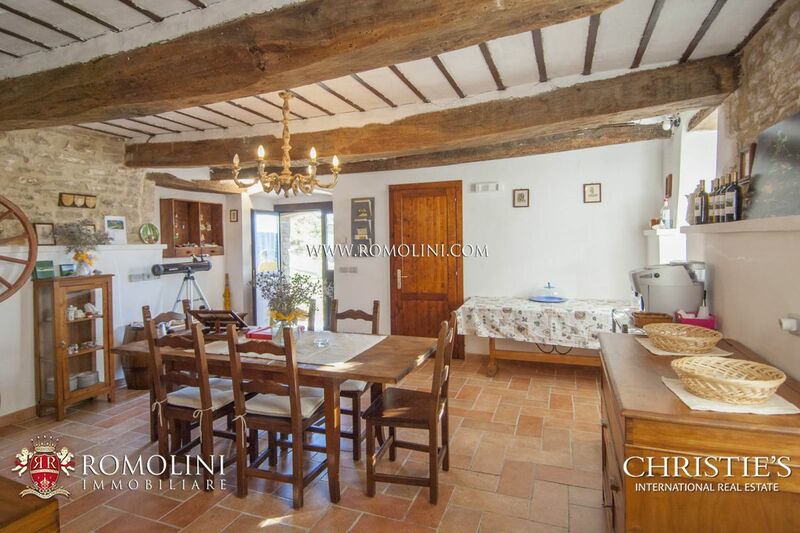 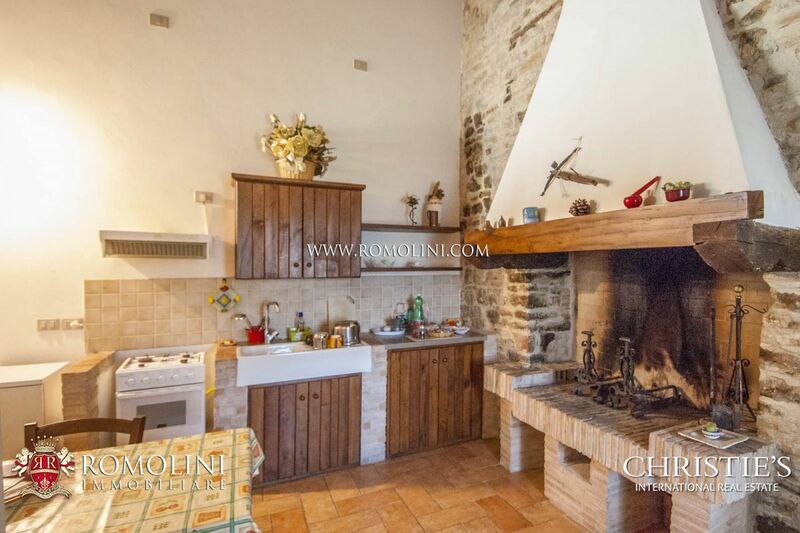 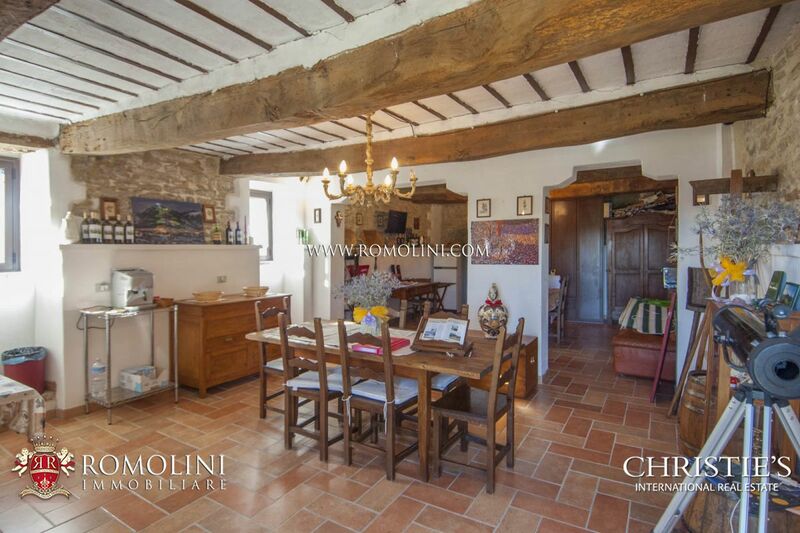 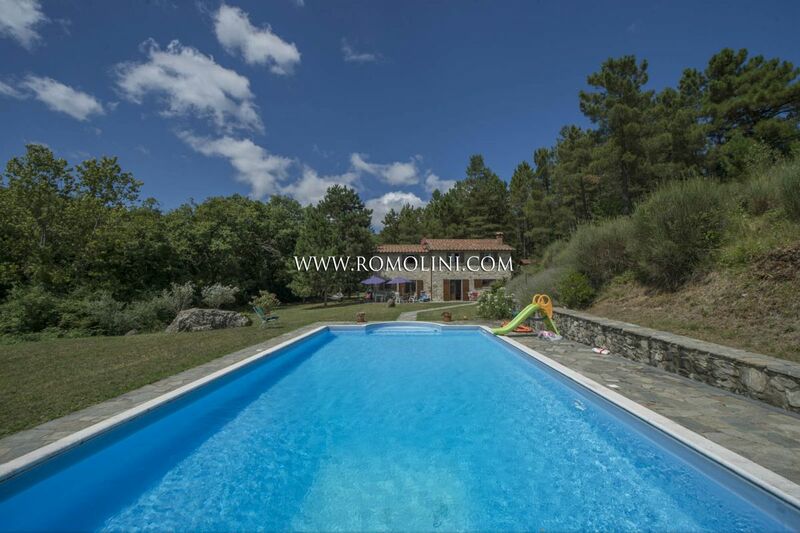 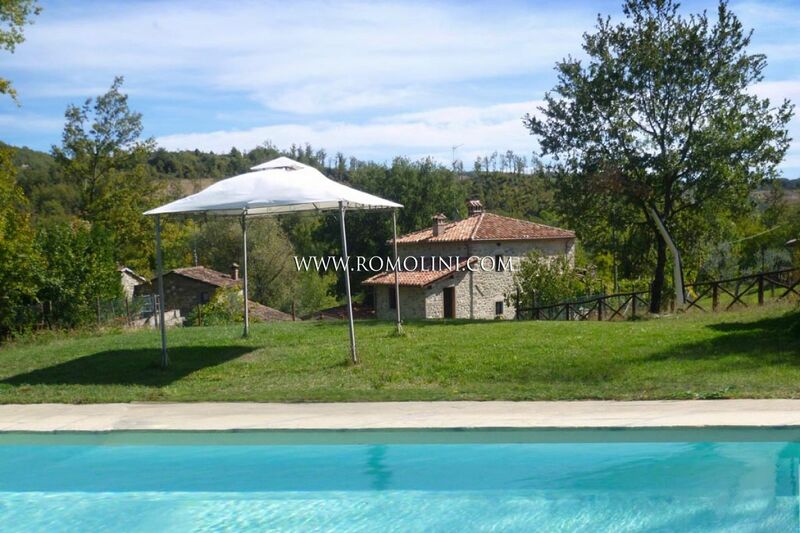 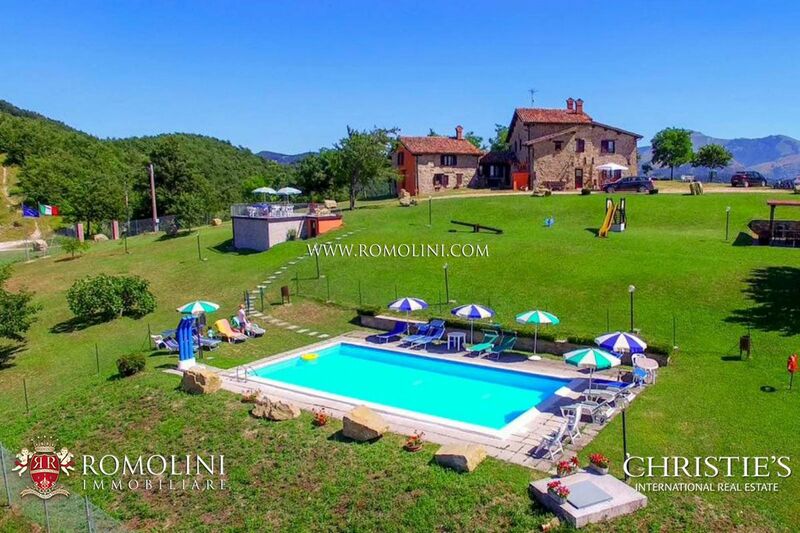 In Umbria, 8 km from the centre historic of Gubbio, at 650 m above the sea level, farmhouse — currently used as an Agriturismo — with pool and 37 hectares of pool. 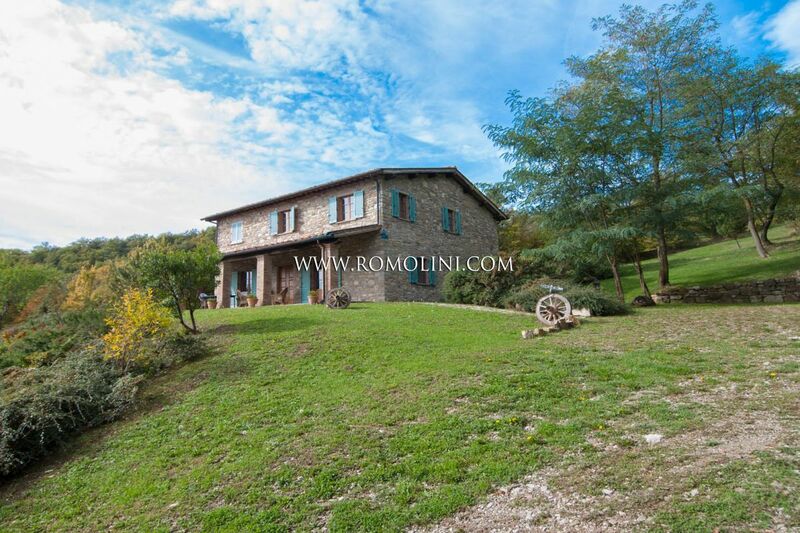 The farmhouse is surrounded by greenery and enjoys an excellent sun exposure. 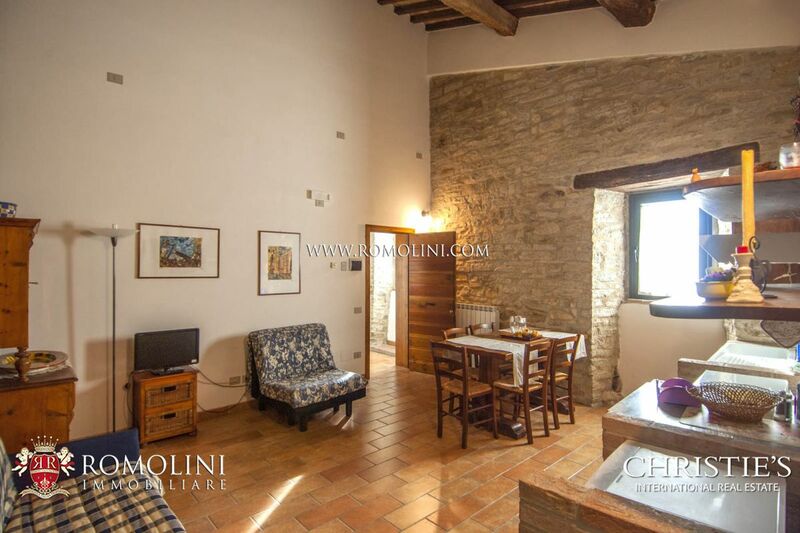 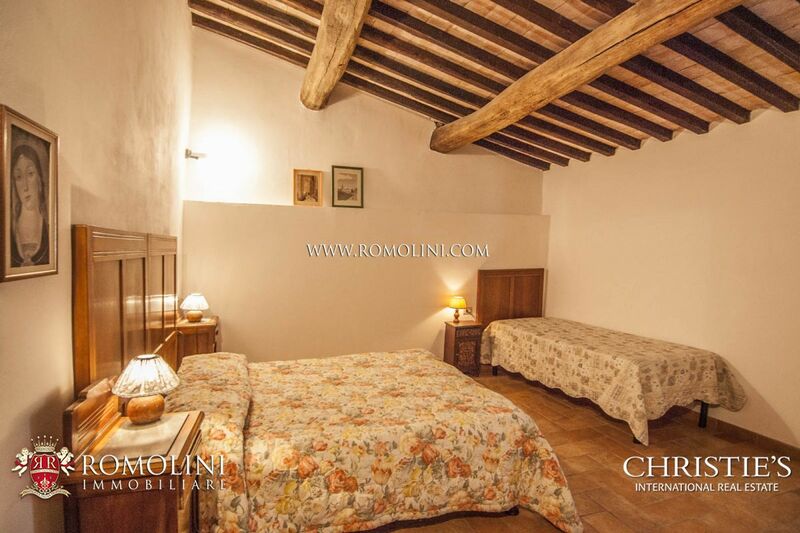 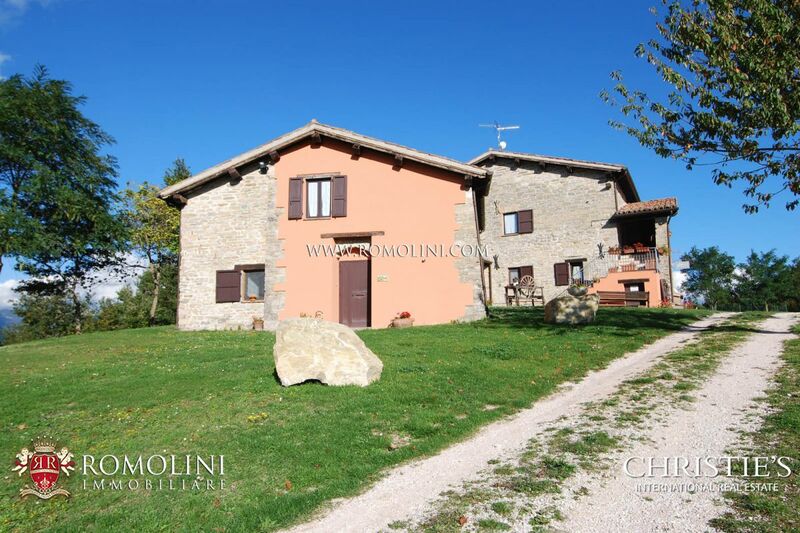 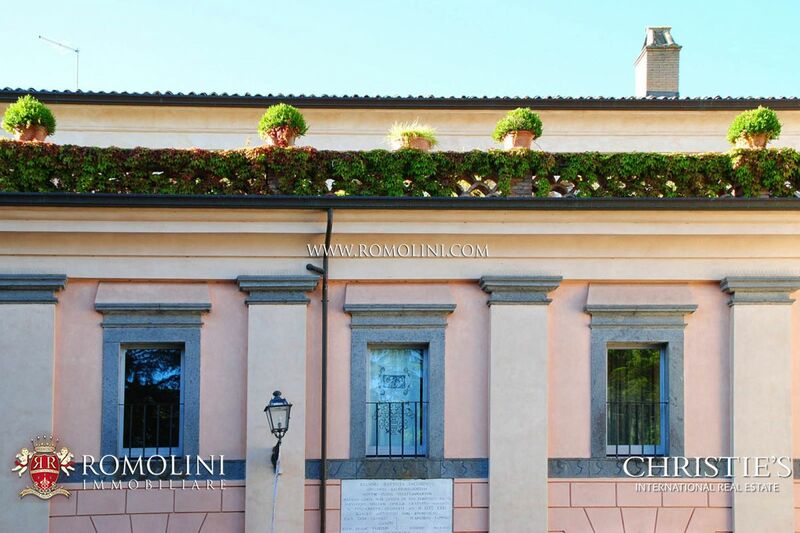 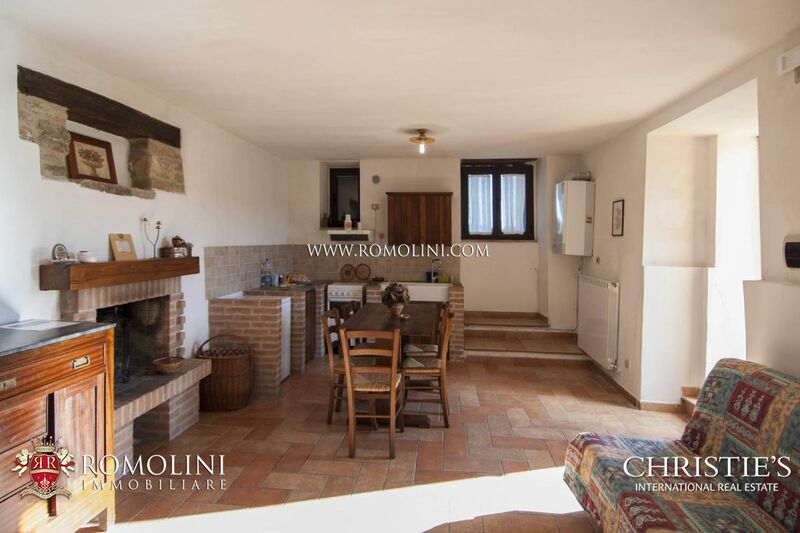 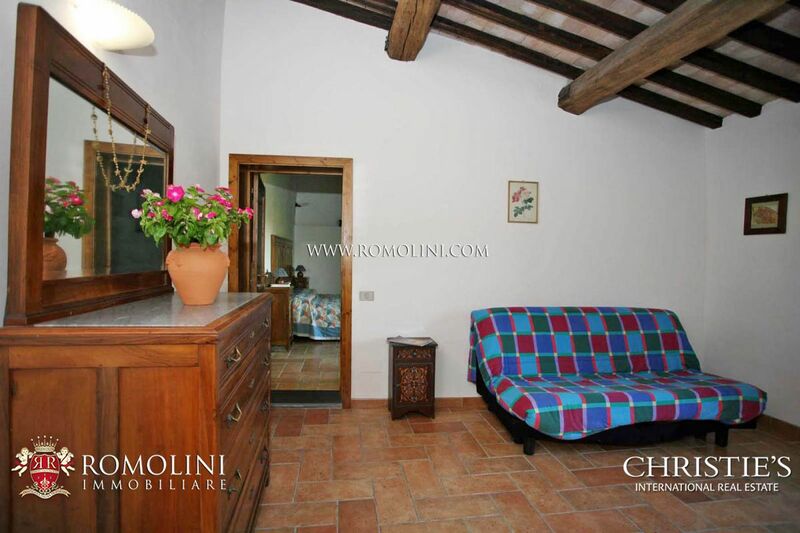 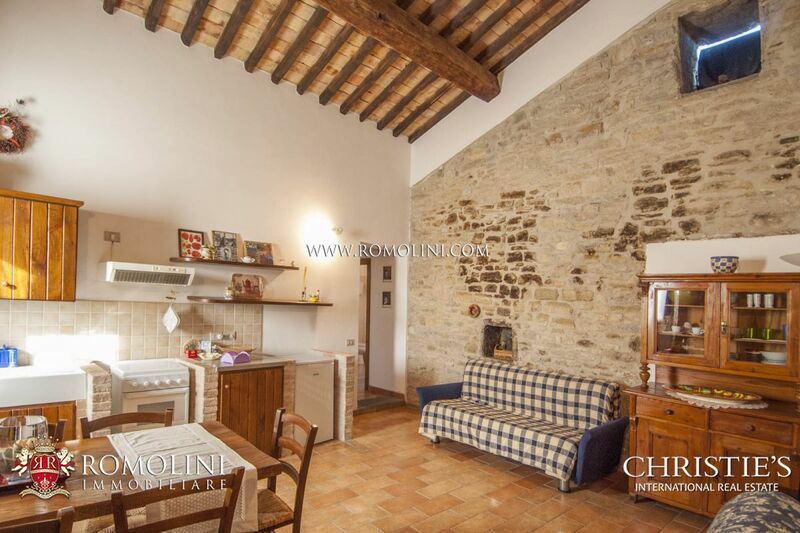 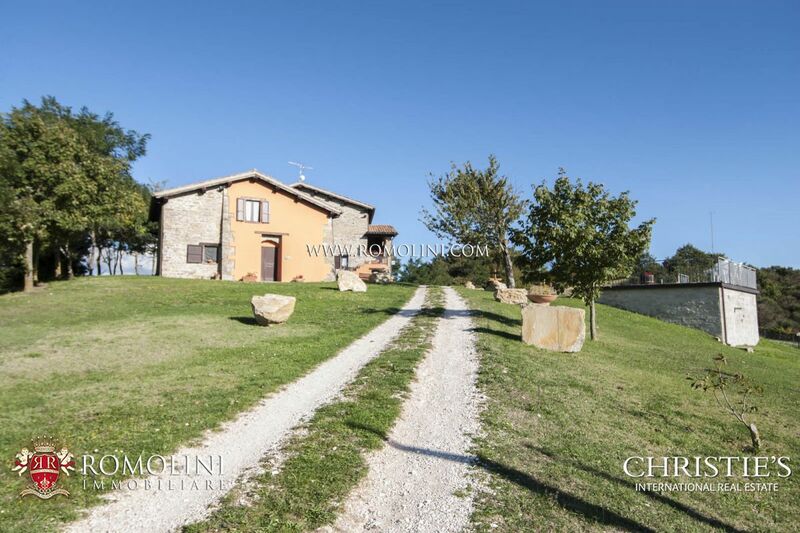 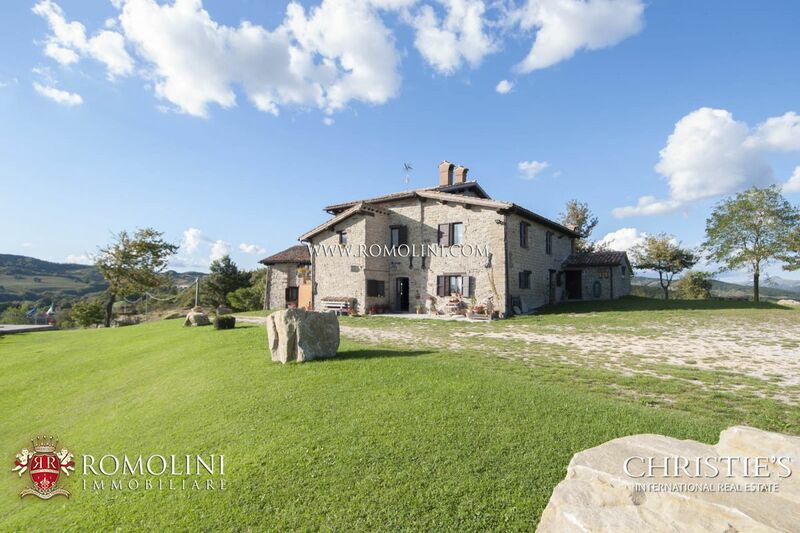 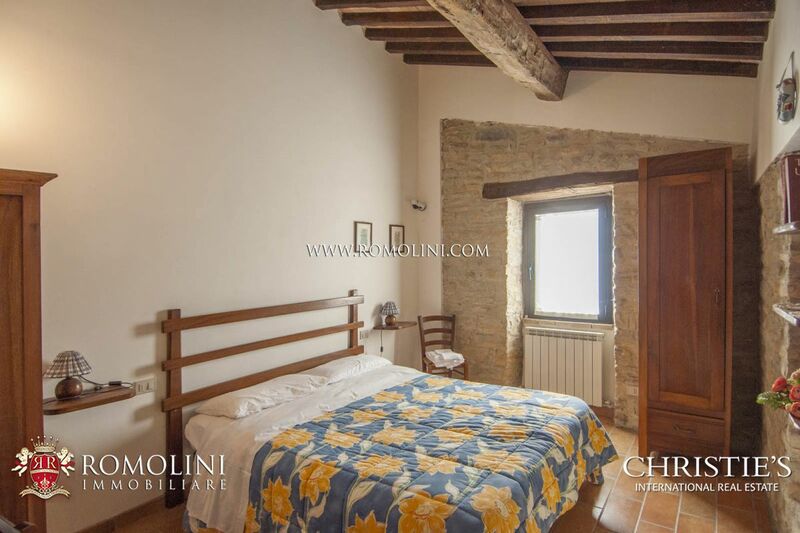 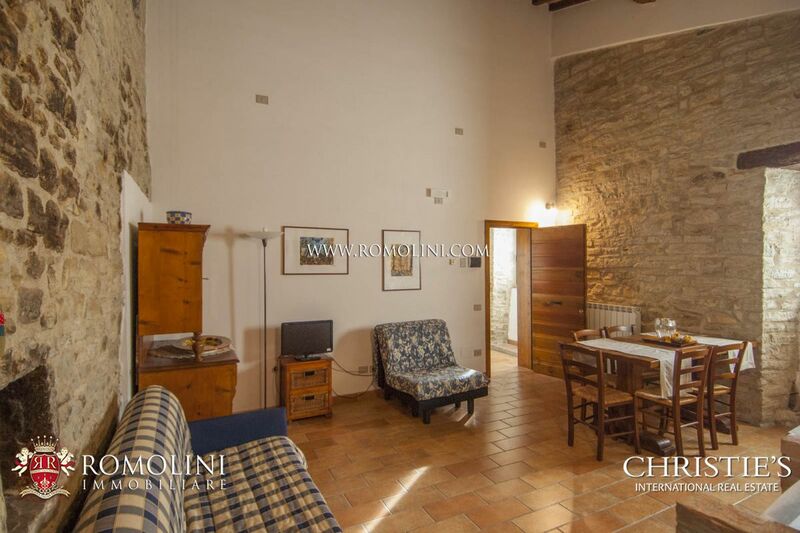 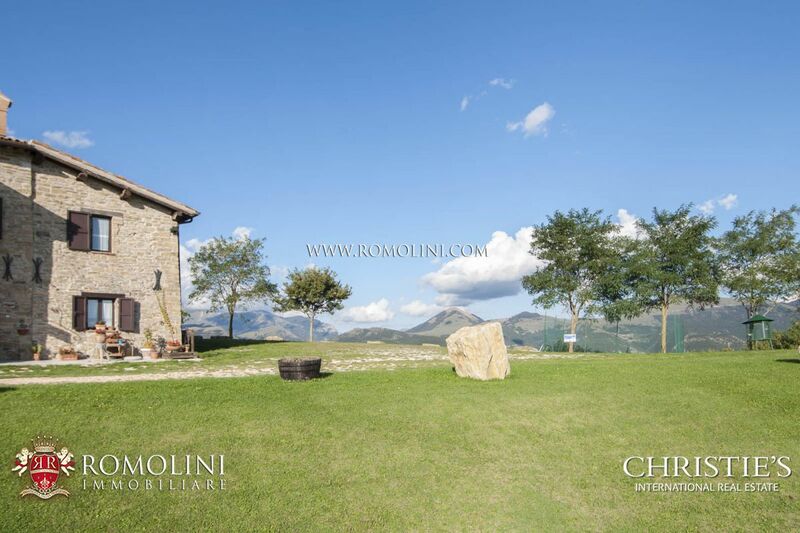 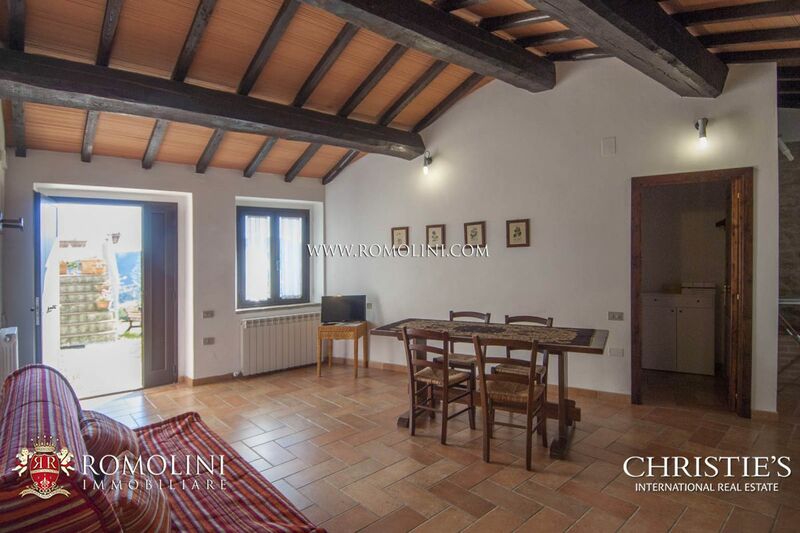 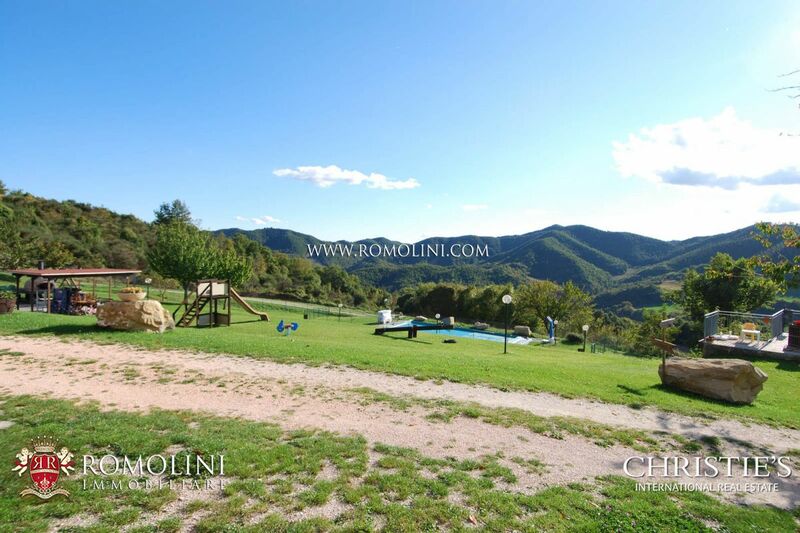 The property, which boasts stunning views over the surrounding hills, is 30 km from Monte Cucco and only a few km from the most beautiful towns in Umbria and in Tuscany, such as, Gubbio (8km), Assisi (62km), Perugia (63km), Urbino (69km) and Foligno. 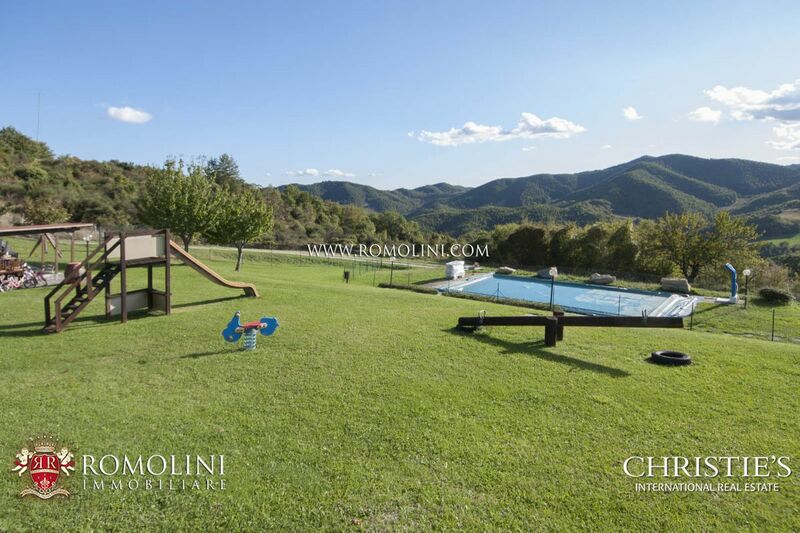 A tennis court and a bocce court are 8 km from the property, a fishing pond is 13 km away. 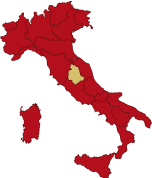 Perugia Sant’Egidio airport can be reached in about 50 minutes’ drive, while Rome Ciampino airport and Rome Fiumicino airport are less than three hours’ drive away. 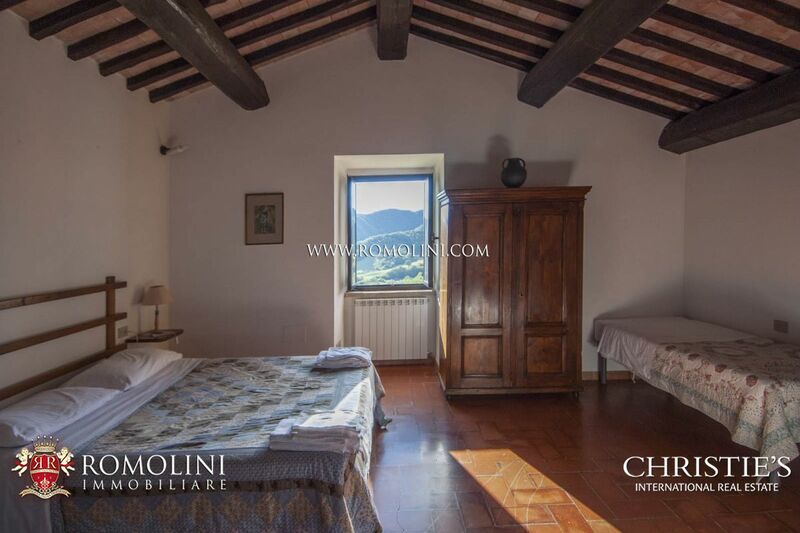 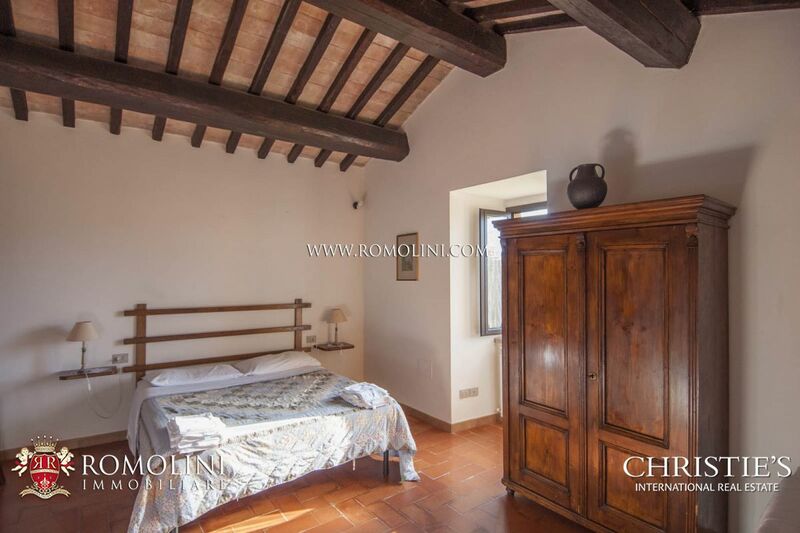 The farmhouse has a surface of 540 sqm gross is laid out on two levels and includes five independent apartments plus the large shared hall on the ground floor with toilette/laundry room. 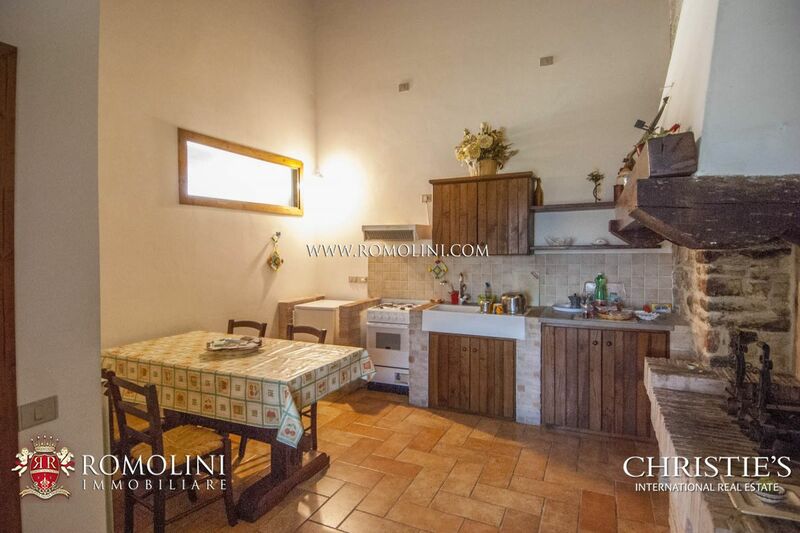 - The apartment N°1 is on the ground floor, is made up of a double bedroom, living room with kitchenette and bathroom with shower. 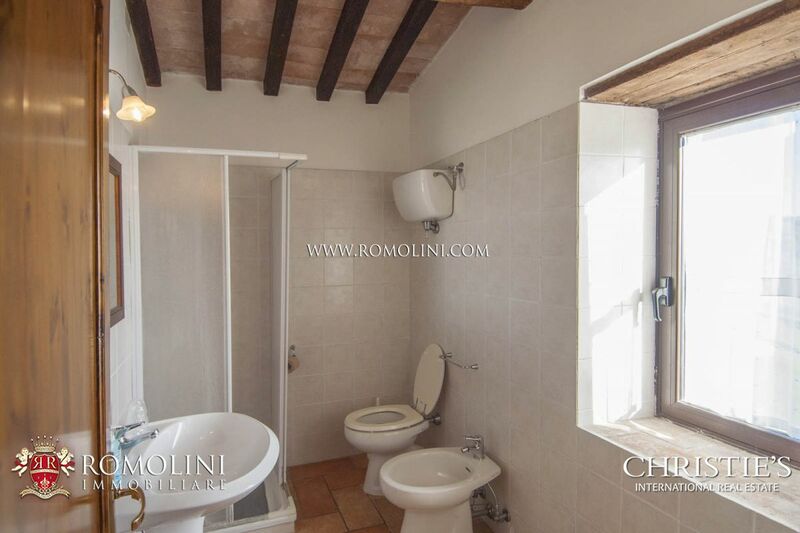 - The apartment N°2 is located on the ground floor, is composed of a large double bedroom, a spacious living room with kitchenette, bathroom with shower; it is equipped for disabled people. 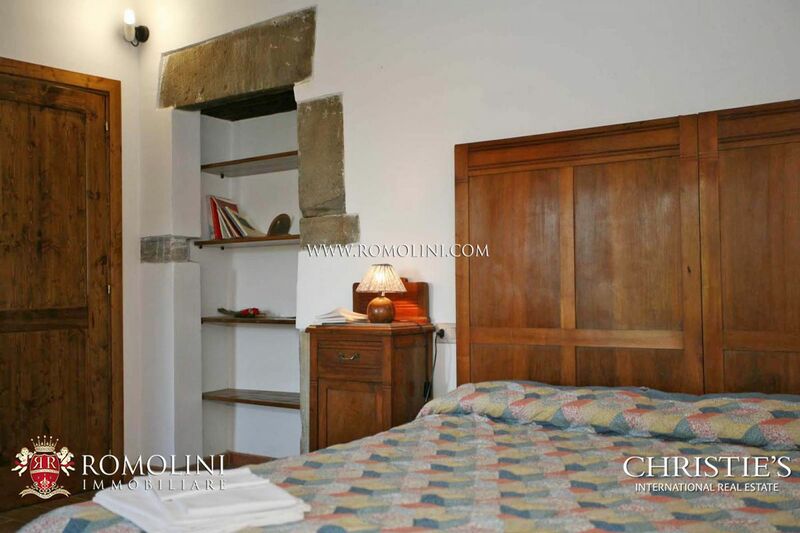 - The apartment N°3 is on the first floor, includes a living room, kitchenette, double bedroom and bathroom with shower. 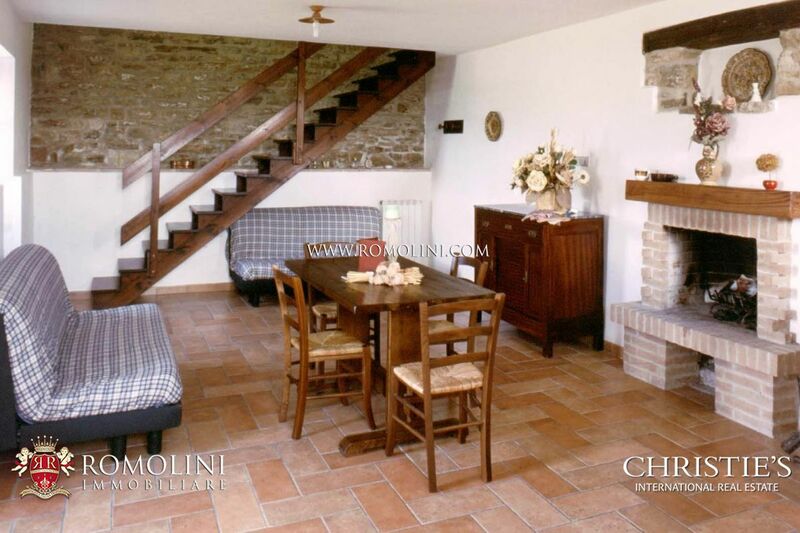 - The apartment N°4 is laid out on two levels. 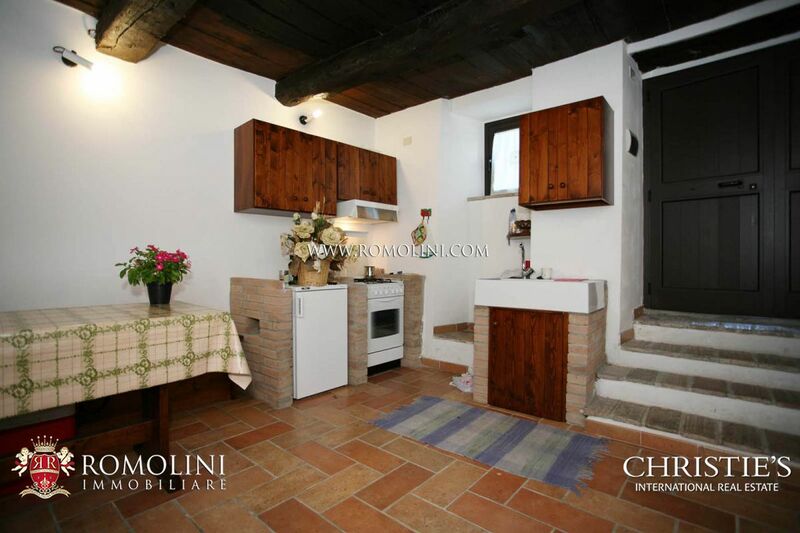 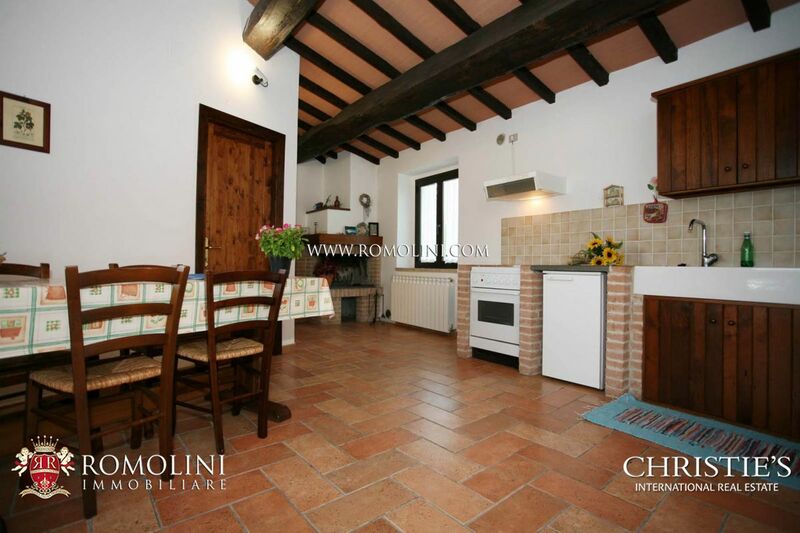 - Ground floor: large living room with kitchenette. 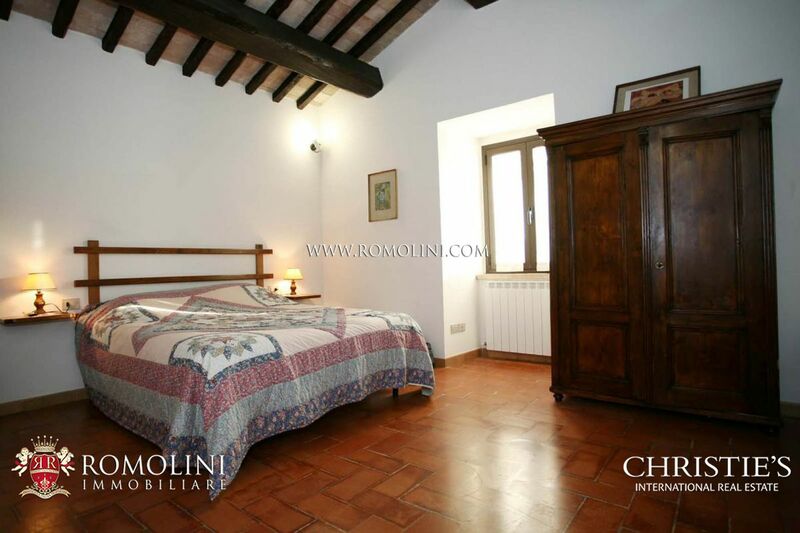 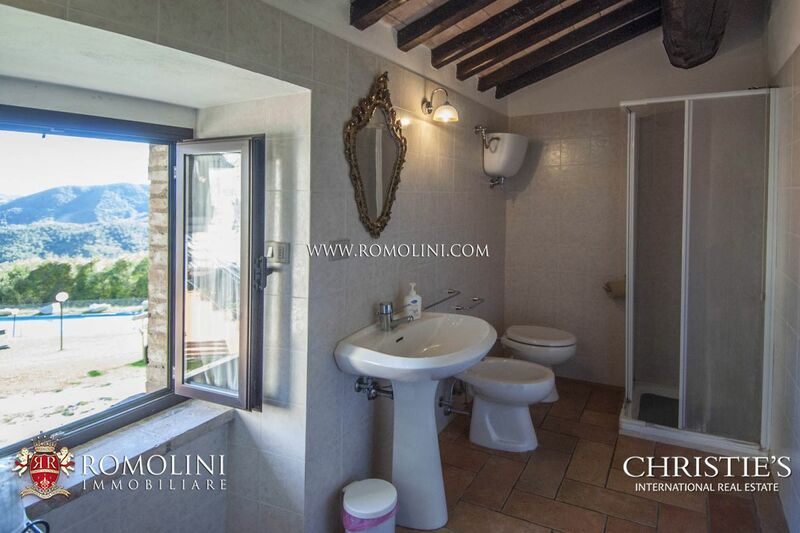 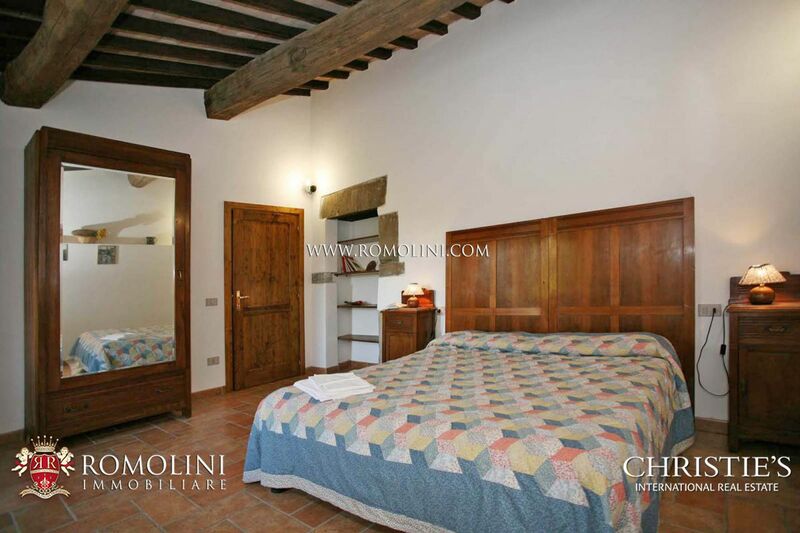 - First floor: double bedroom, hallway and bathroom. 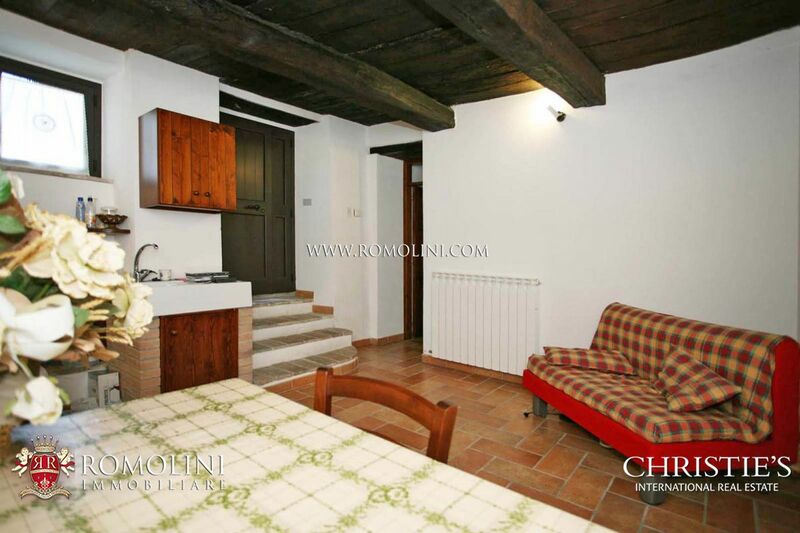 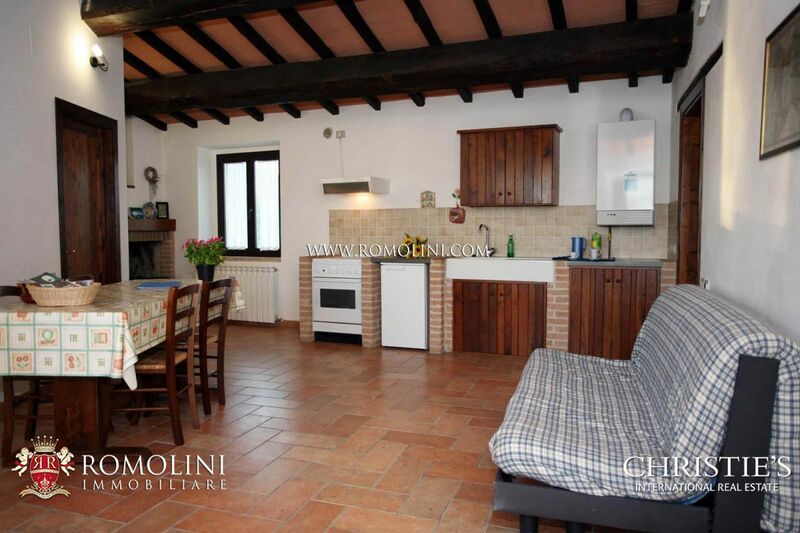 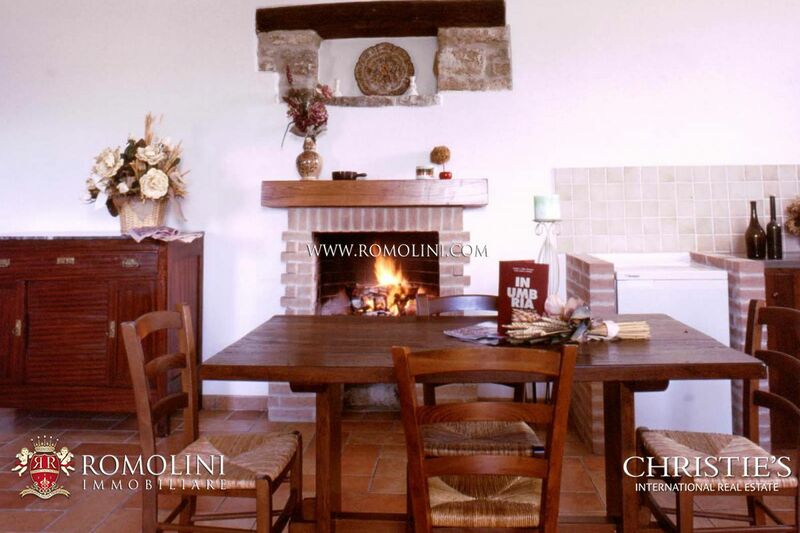 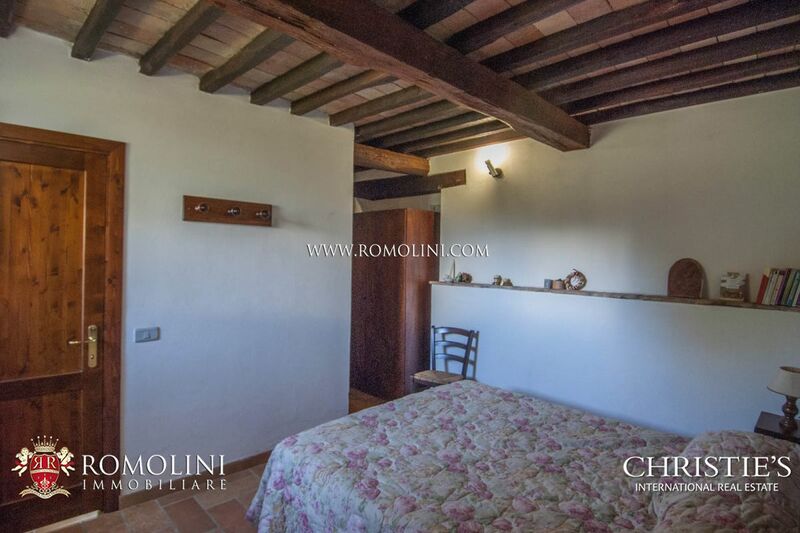 - The apartment N°5 is located on the first floor and is composed of a kitchen with fireplace, a room with double sofa bed, double bedroom plus a single bed, and a bathroom with shower. 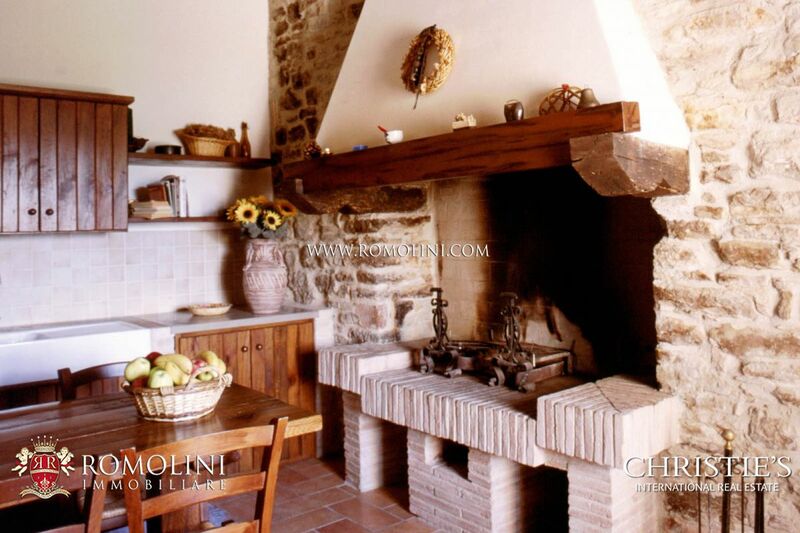 The farmhouse was restored in the middle of the 90’s and is in very good condition. 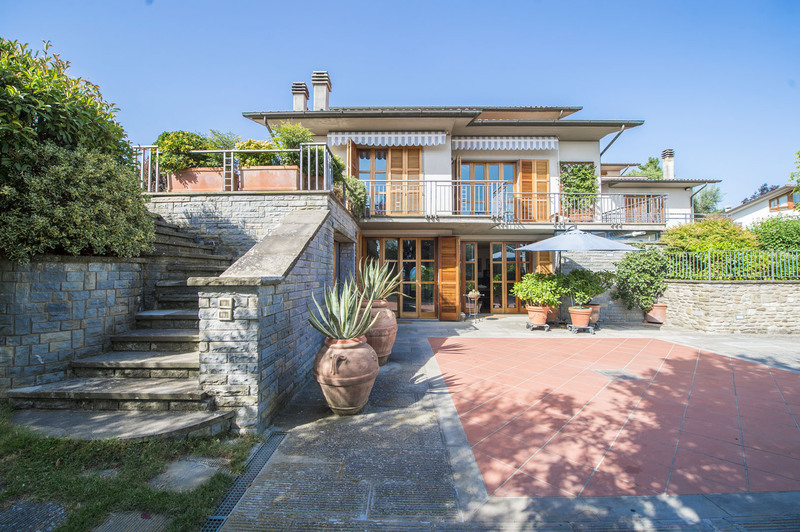 It features terracotta floorings, fireplaces, exposed stone walls, ceilings with wooden beams and terracotta tiles, a wooden staircase and a pergola. 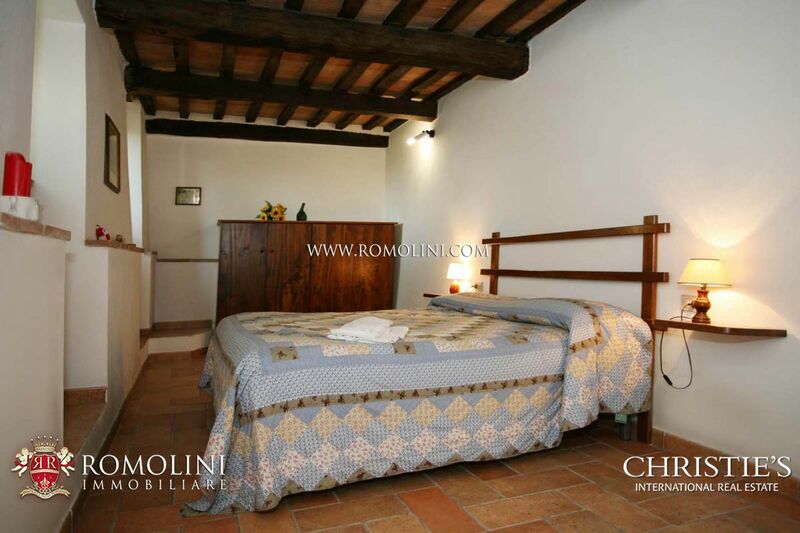 Every living room has a sofa-bed. 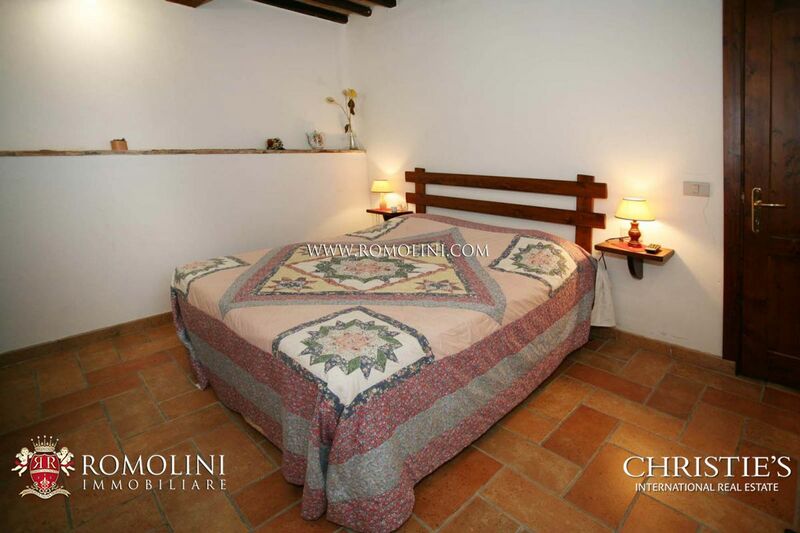 One of the apartments is suitable and accessible to disabled people. 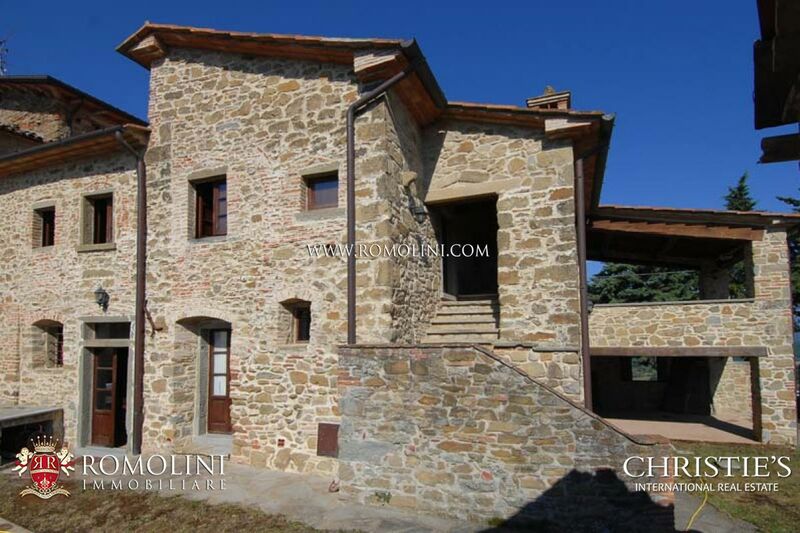 The property comprises approx. 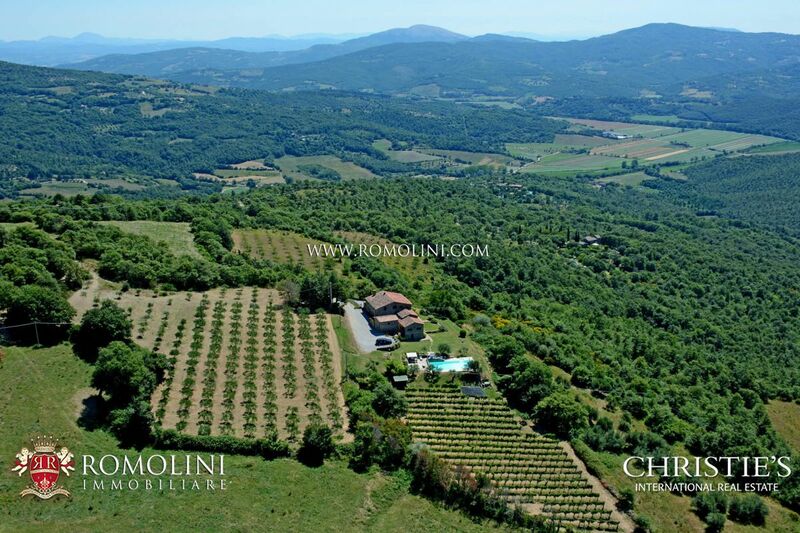 37.5 ha (92.66 acres) of land, of which 1.5 ha of arable land, 3.6 ha of grazing land, 25 ha of coppice, 7 ha of woodland, 0.4 ha of uncultivated land. 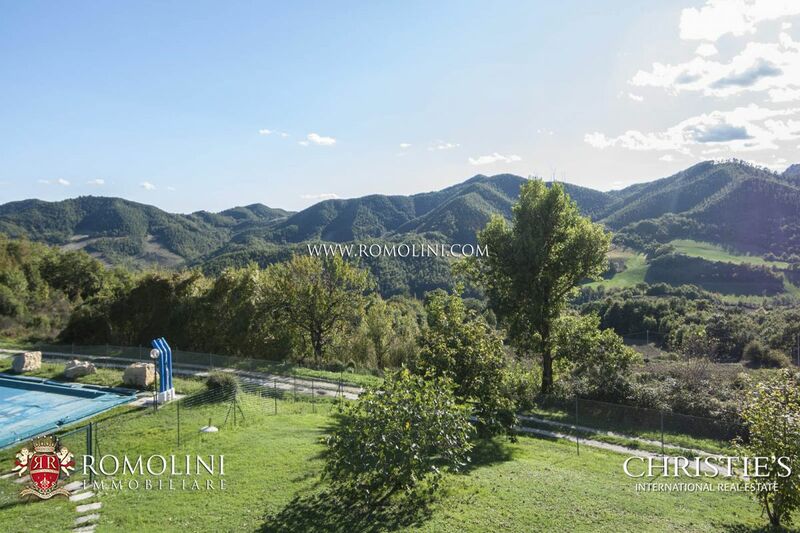 Around the Agriturismo there is a fenced green area of approx. 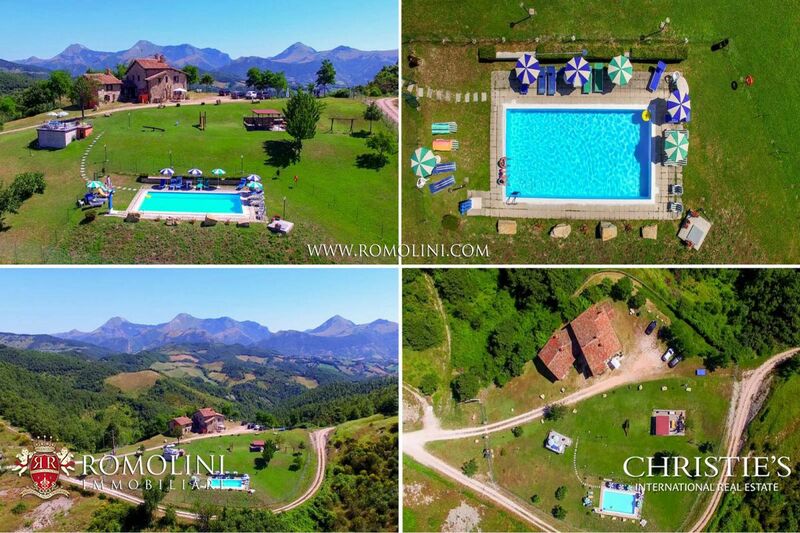 4,700 square metres, where you will find a parking zone, a play area, BBQ and the wonderful swimming pool (14 x 7 m) with a maximum depth of 1.40 m and a sunbathing area. 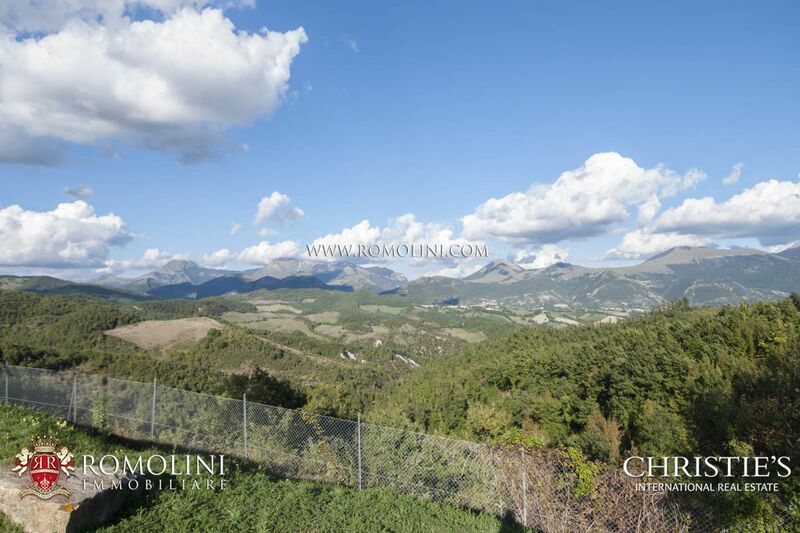 The agricultural land is located in an area that is very suitable for truffle growing, especially for white truffle and fine black truffle. 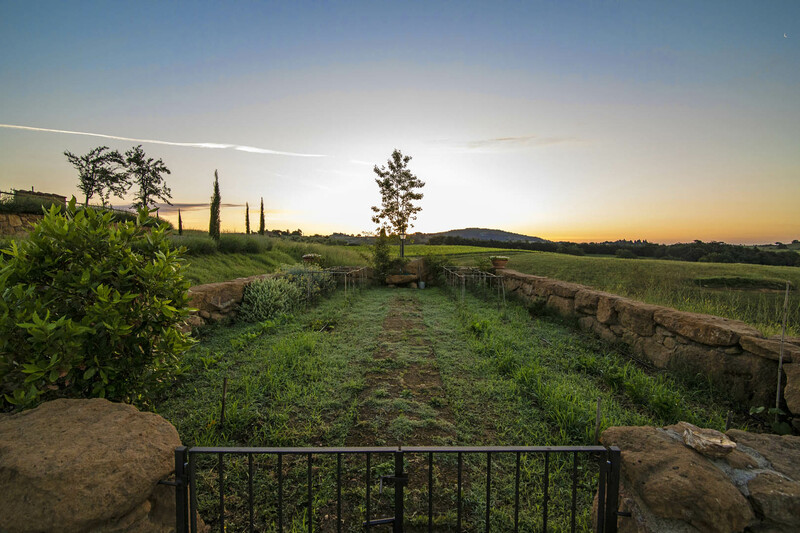 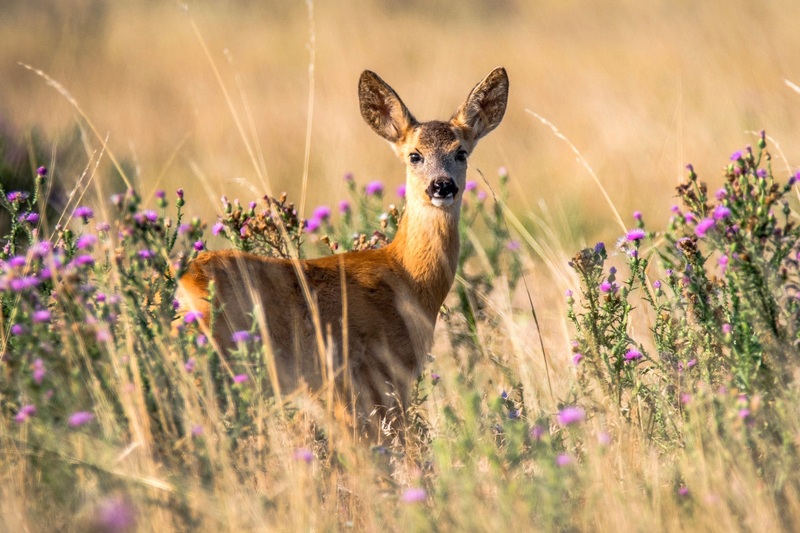 This land is part of a hunting reserve, where it is possible to hunt all year long as well as to harvest the products of the soil, truffles included. 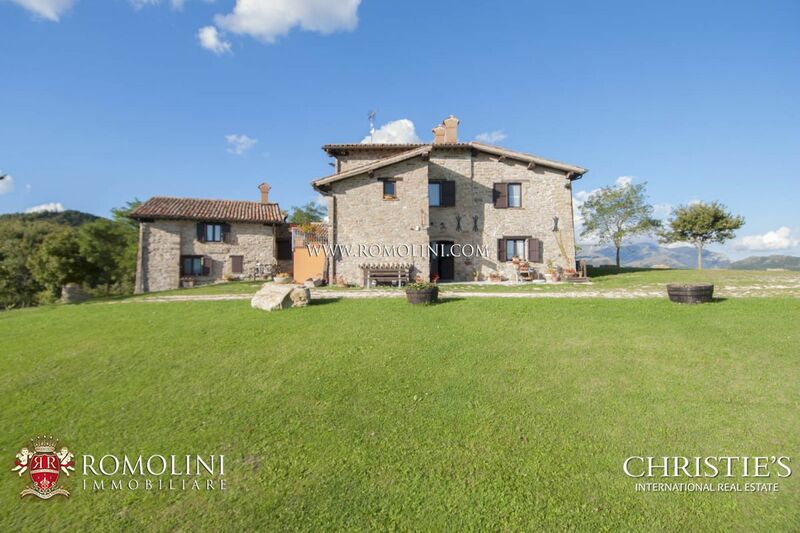 The farmhouse is ideal for those who are looking for an oasis of a relaxation in the countryside, away from the hustle and bustle of the city. 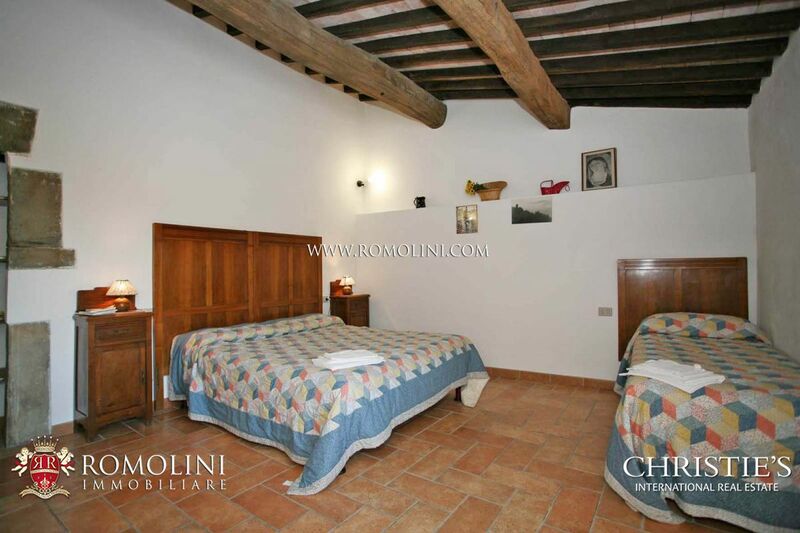 The property can be used both as tourist accommodation and private home. 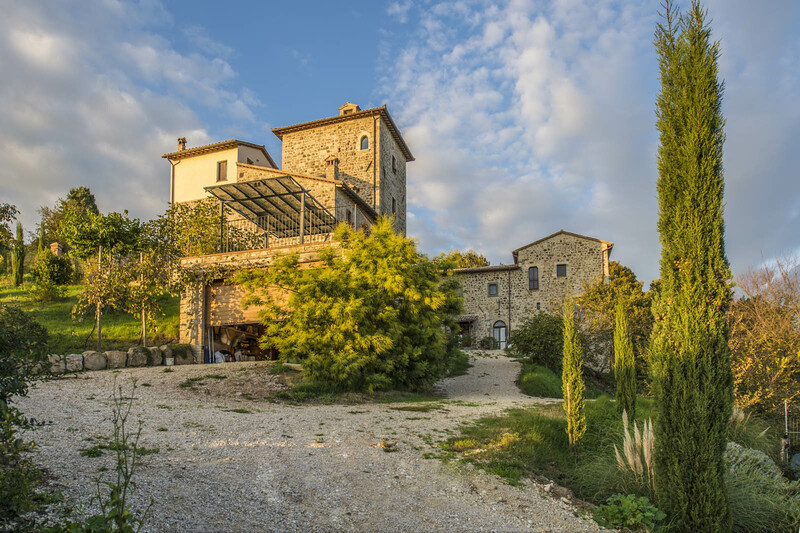 In the second case, it is possible to purchase the property without agricultural land. 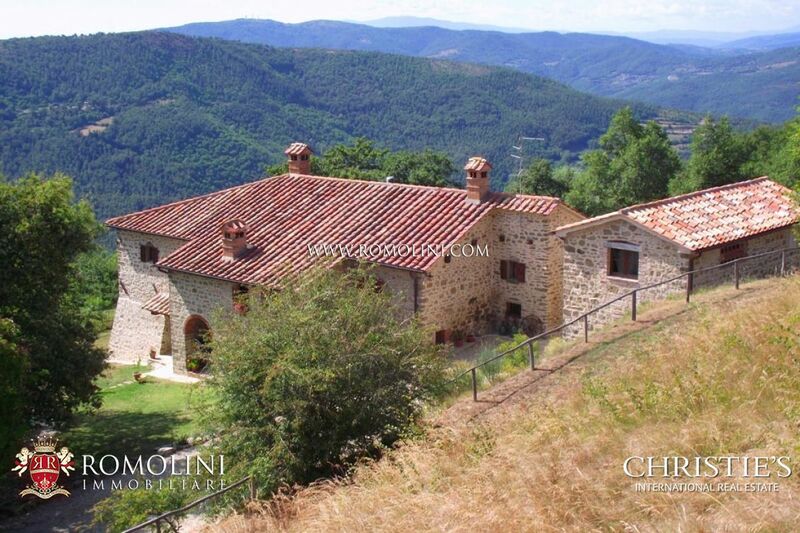 Moreover, there is the possibility to buy the otehr part of the property, RIF. 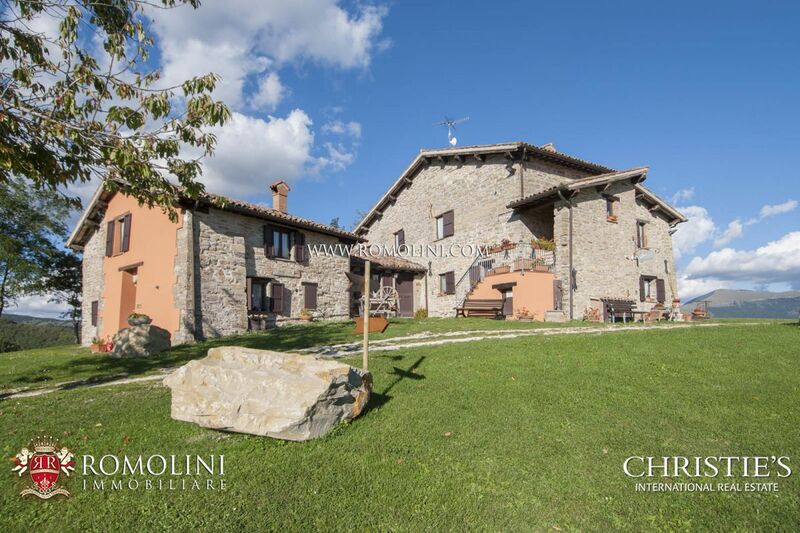 1378 TENUTA DI VILLAMAGNA.